FAIRBANKS — Heading to a fly-in meeting or convention ? It can be a mixed bag. Maybe you're going to a new city — but you have to spend time inside. If you're lucky you get out to see the countryside and visit with friends. There are some bonuses when travel professionals meet, though. At the Alaska Travel Industry Association meeting in Fairbanks, most of the folks are in the hospitality business, so the parties are fabulous. I get to man a booth at the trade show for this convention each year — and it's a great way to check out the new travel offers around the state. New ships are sailing to Alaska during the summer. But it's not just big ships (like the Norwegian Joy, which can accommodate more than 3,800 guests). Tracy Meyer is one of the captains aboard a refurbished yacht, the Sea Star, which offers seven-day cruises between Seward and Whittier or between Seward and Homer. 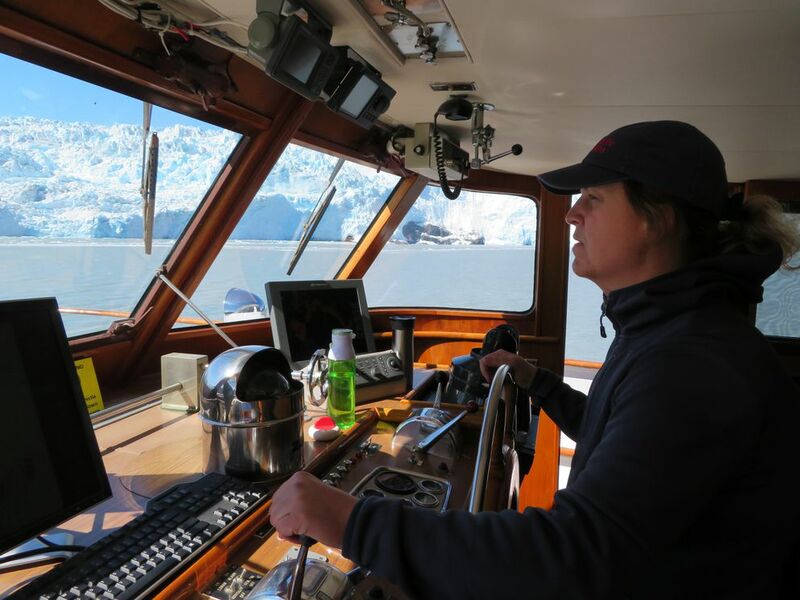 Meyer is a former Navy officer and "ship driver," so she's focused when describing the detailed routes they've selected around the Kenai Peninsula and in Prince William Sound. But her eyes glass over a bit talking about the history of the vessel. "Walking around the Sea Star is like stepping back in time," she said. "It was built in 1965 as a family yacht in Wisconsin. At 85 feet long and 19 feet wide, it's got teak decks and all the latest bells and whistles from the era," she said. Meyer's business partner, Erik Teevin, works on the North American, one of the crab boats featured on the "Deadliest Catch" TV series. So he's familiar with Alaska waters — and this new venture is his way to show off some lesser-known areas of the state. "We will meet our guests in either Whittier, Seward or Homer for the weeklong cruise," said Meyer. She and Teevin brought friends and family aboard the Sea Star last summer to do expeditions along the routes to set some basic itineraries. "We have kayaks and a couple of smaller boats to access the beaches and really explore the area," said Meyer. "There are just four staterooms, with room for just 12 guests. So while we've got some favorite itineraries, we can really work with our guests to see more glaciers, do more hikes or spend more time in the kayaks," she said. In addition to the skipper and mate, there's a naturalist on board. "We want our guests to feel like they're on an expedition. It wasn't that long ago that scientific expeditions sailed these waters and named the fjords and glaciers," said Meyer. With the focused gaze of a ship's master, Meyer traces one of the routes on the map past the routes of the popular day cruises from Seward. Past Resurrection Bay, past Aialik Bay and the Northwestern Fjord. Then, up McCarty Fjord to the McCarty Glacier. "We've read these charts in the books, but then we had to prove it to ourselves," she said. Pointing back to the map and McCarty Fjord, she said, "Nobody does this." That, of course, is the point in providing the small-scale, adventure-class cruises that she and Teevin have designed. It's not cheap. The one-week rates start at around $6,075 per person, based on two people sharing a cabin. The rates include all your meals, beer and wine, guided activities, sea kayaking gear, hiking poles and binoculars. Depending on your itinerary, the cost may include train or air transportation from Anchorage to meet the ship. For the summer, the Sea Star sails between three main ports: Seward, Homer and Whittier. During the off-season, the boat lives on Lake Union in Seattle. So there are some positioning cruises that are less expensive. There are three- to eight-day cruises from Seattle up to Ketchikan, Petersburg or Sitka. The Sea Star does not offer passage across the Gulf of Alaska. Meyer notes the Gulf is "not as friendly" as the protected waters of the Inside Passage or Prince William Sound. Contact North Pacific Expeditions online or call (206)886-8107. Summer no longer is the only season to visit Alaska. 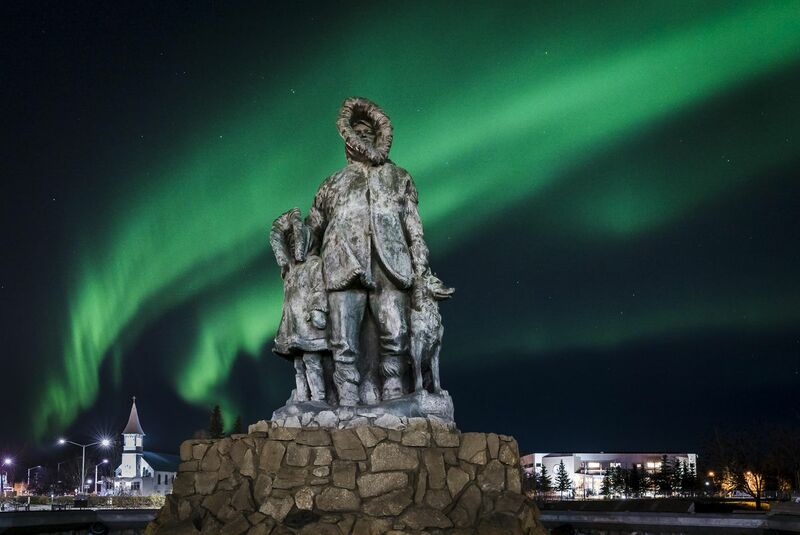 Here in Fairbanks, more and more folks are coming north to see the northern lights. That means more activities and adventures are available to explore the countryside in the winter, too. Choose from going on a dogsled trip, a snowmachine ride or a soak in a hot spring. Even a drive in the country can be exciting. Before this week's conference, a friend invited me to dinner at Ivory Jack's, which is outside of Fairbanks on Goldstream Road. This qualifies as a "real Alaskan" destination, complete with a rustic bar, an adjacent liquor store and restaurant. The Prime Rib Dip sandwich was delicious and we all shared nice desserts. There are no streetlights this far out of town — but you don't really need them on a cold, clear night. The northern lights were ablaze, whipping across the sky three bands at a time. I almost wrecked the car gawking at the lights while driving back to town. Those of us who call Alaska home already love the midnight sun and the northern lights. But it's fun to spend a week with folks who are coming up with new and interesting ways to show off Alaska: winter, spring, summer and fall.